Cynthia Bennett and Andre Sibilsky moved to Colorado five years ago because of their love of the mountains. 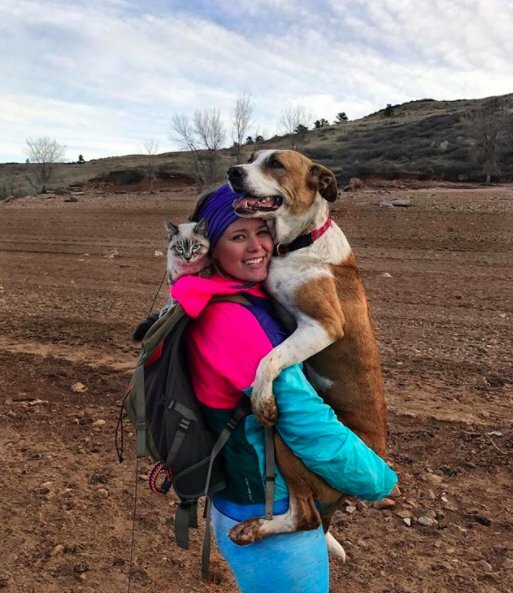 So when they adopted Henry in 2014, they were excited to discover that the energetic mutt enjoyed hiking as much as they did. Last year, the couple spent months searching for the right cat to add to their adventurous brood — one that was calm but not too reserved or skittish. 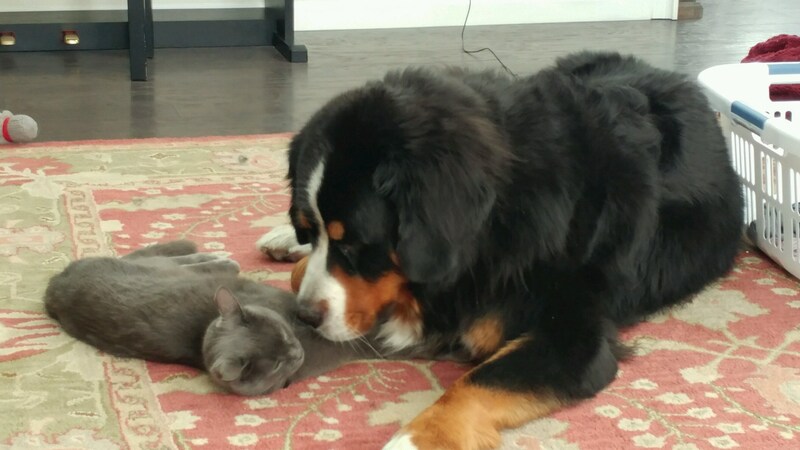 They eventually adopted Baloo, a Siamese mix. 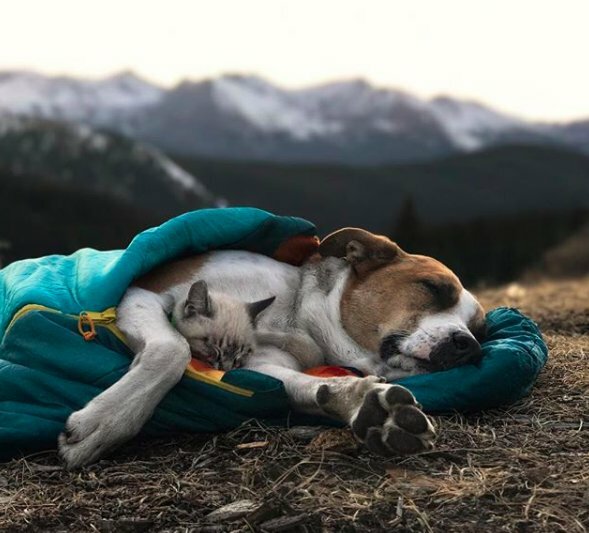 The two animals have been inseparable since day one and have forged a special bond. The crew has hiked, camped, snowshoed and stand-up paddleboarded together in Colorado, Wyoming, Utah, Texas, California, Oregon and beyond. 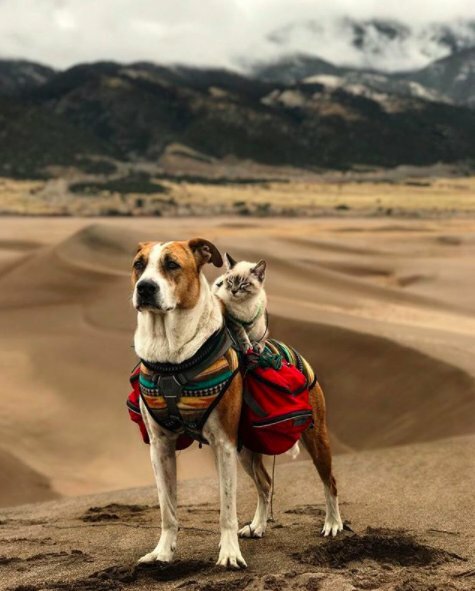 The couple document their travels on the Instagram account @henrythecoloradodog, where they’ve amassed a huge following. Fans often ask how the couple ensures that Henry and Baloo don’t run off while exploring nature. According to Bennett, Baloo wears a reflective leash for safety, though they don’t usually hold on to it because he never strays very far. For longer hikes, Baloo hangs out in one of the humans’ backpacks. 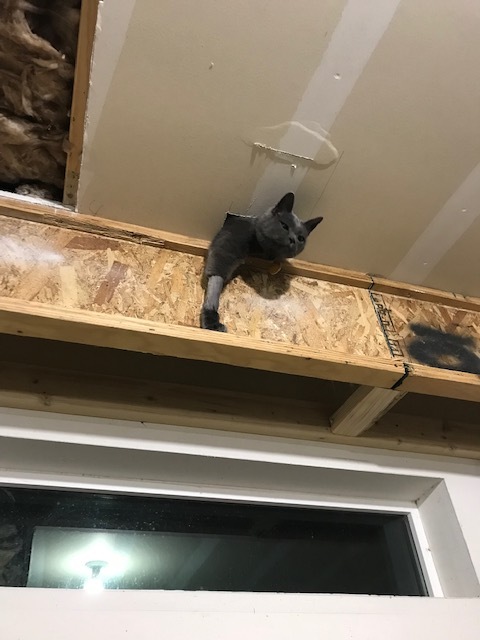 “He jumps out of our pack when he wants to walk and meows at us when he wants a ride,” Bennett said. The pair of beasts has an Instagram account with many awesome photos. I am opposed to lotteries as a tax on the ignorant, but I have to admit that this ad for the New York Lottery, which features a generous cat (an oxymoron), is appealing. But it raises many questions. How did Cyrus get out of the bodega? How did Cyrus know where its staff lived? And why on earth did Cyrus bring his staff a lottery card for Christmas? That’s like bringing a grocery-store receipt! 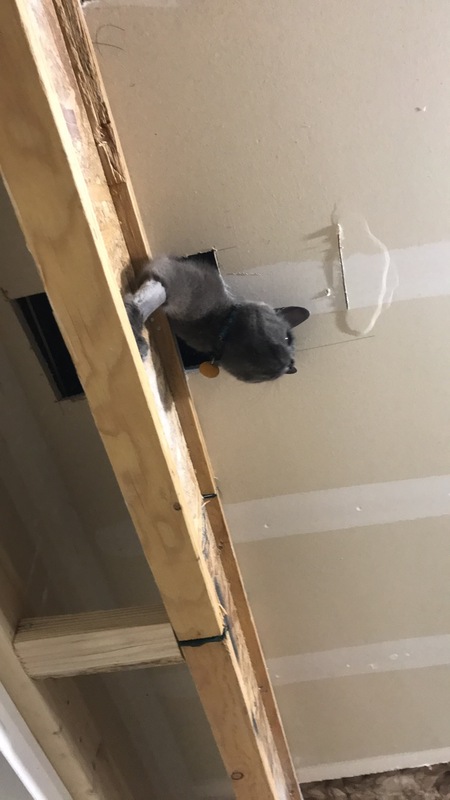 We’re doing some remodeling on our house which has led to some prime Ceiling Cat spottings. From the images it appears Lucy is the one doing the judging, then she sends Gandalf down through the ceiling to do the smiting. Gandalf’s leg is shaved because he stole some medicine intended for our 150 pound bernese mountain dog and had to go to the urgent care. I’ve attached an image of Gandalf and Gryff as lagniappe. 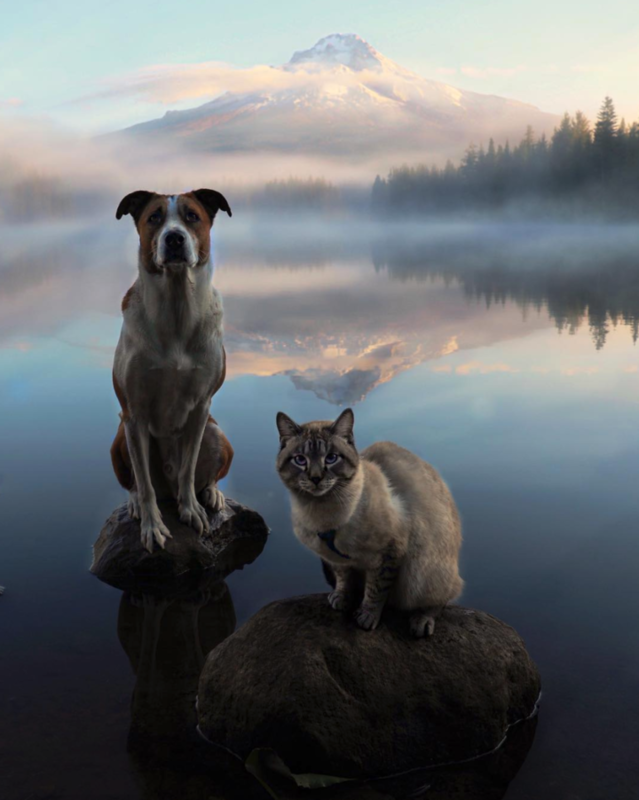 They take walks together sometimes and are even known to share breakfast. Of course, I have videos of these interactions as well. This entry was written by whyevolutionistrue and posted on December 8, 2018 at 9:00 am and filed under Caturday felids. Bookmark the permalink. Follow any comments here with the RSS feed for this post. Both comments and trackbacks are currently closed. Some good cat stories, even with the d*gs. Recalling the Baby It’s Cold Outside saga, some might want to know there was a piece on CNN this morning. A poll was taken with over 10 thousand voting. Question, should the radio stations stop playing the song? Results were 93% No 7% Yes. 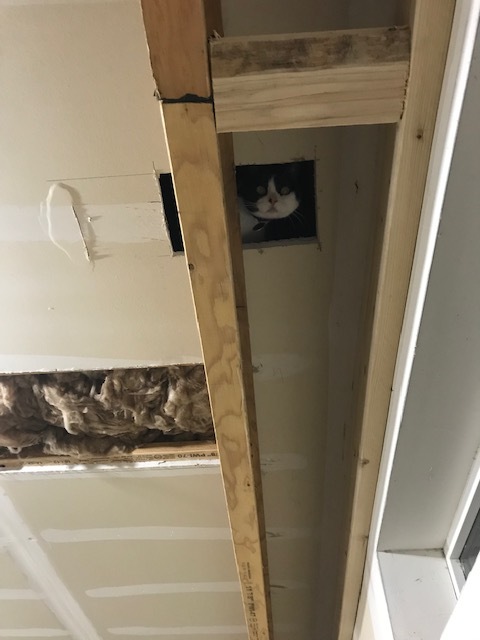 Always look forward to Caterday and thought the cat and d*g story today and the ceiling cats, and photos, were special. In the bottomless pit that is Twitter, I yesterday spotted a video, with a good name for a cat. I am not sure if or how this is going to embed. Watch these wildlife officials struggle to stay alive as they release the world’s most badass bobcat kitten back into the wild. The bobcat, who we’re calling Mr. Murderbritches, was relocated after he was caught eating (incomprehensible icons) in Kanarraville, UT. 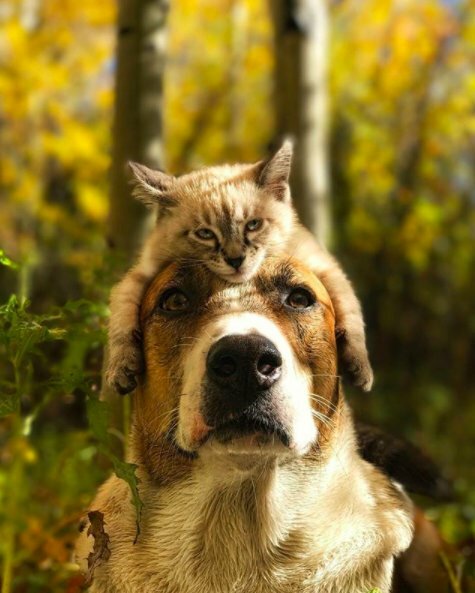 Love the amazing photos of your dog and cat! 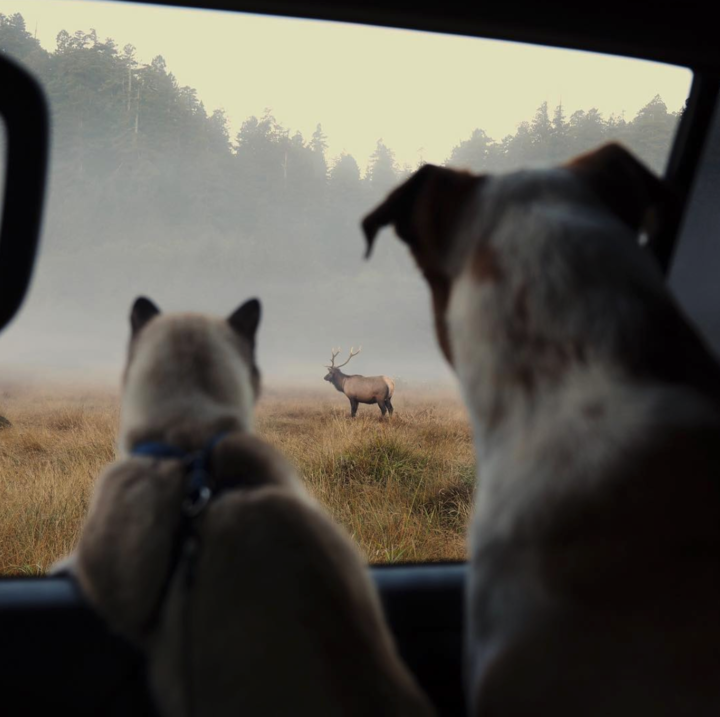 I go on Adventures with my dogs and loved seeing your photographs!